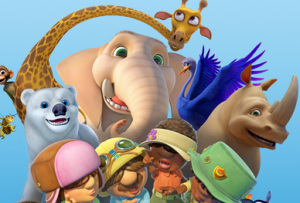 Turner Broadcasting System has acquired Monster Entertainment-sold non-verbal kids toon Jungle Beat for its Boomerang channel in various European territories. The third season of the 13x7mins show, which comes from South Africa’s Sunrise Productions, will debut on Boomerang in the third quarter of this year in Germany, Austria, Switzerland, the Benelux region and eastern Europe. After this point, it will be licensed to free TV broadcasters. Belgium’s VRT is already on board the series. Seasons one and two have been sold into 182 territories. Jungle Beat is a CG-animated, dialogue-free, slapstick humour series that focuses on bizarre situations different animals find themselves in. Ireland’s Monster sells the show internationally.